Vespula germanica F. (Hymenoptera: Vespidae) is an important pest that severely affects agriculture, tourism, beekeeping, and other activities in Chile. The objective of this study was to develop a bait for adults to be either attracted/ killed inside the trap or collected by workers, and also to serve as food for larvae (via trophallaxis) in the nest. 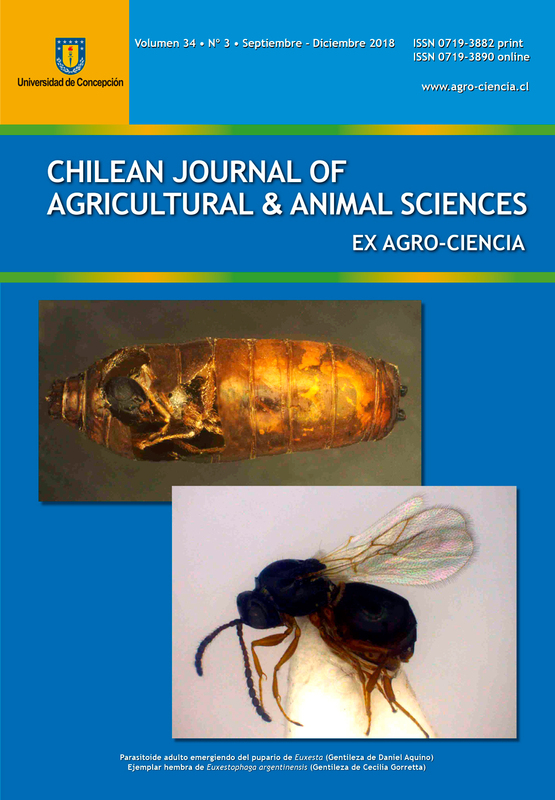 A blood and bone flour (BBF) bait mixed with several insecticides was evaluated to trap workers in a conservation area in the Metropolitan Region, Chile, based on attractiveness to V. germanica and selectivity to Apis mellifera L. The insecticides used were abamectin (Vertimec 018 EC), fipronil (Regent 250 FS), imidacloprid (Confidor 350 SC), spinosad (Success 48), and triflumuron (Alsystin 480 SC). The BBF bait for V. germanica workers was not affected by the presence of insecticide at a low concentration (for most compounds it was used the previously estimated LC90 for larvae), which means that the bait mixture can attract/control populations without the risk of true repellency. Criteria such as cost, lasting effect and mode of action should be considered when selecting insecticides. The use of imidacloprid was the best choice for trapping workers, whereas fipronil and triflumuron worked better for baits targeting larvae in the colony. Food baits for V. germanica should be further optimized and tested during the spring and early summer to control populations. This species needs to be controlled before it reaches máximum densities, including queens at the time when actively forage for food during early spring. Key words: Insecticides, non-repellency, yellowjacket, wasp baits, wasp trapping. 1 Depto. Sanidad Vegetal, Facultad de Ciencias Agronómicas, Universidad de Chile, Casilla 1004, Santiago, Chile. 2 Dirección Escuela de Pregrado, Facultad de Ciencias Agronómicas, Universidad de Chile, Casilla 1004, Santiago, Chile.